The Netherlands has three tiers of government. There are two levels of local government in the Netherlands, the provinces and the municipalities. The water boards are also part of the local government. The Netherlands is divided into twelve provinces (provincie, pl. provincies). They form the tier of administration between the central government and the municipalities. Each province is governed by a provincial council, the States-Provincial (Provinciale Staten, abbr. to PS). The size of the executive varies from one province to another. In Flevoland, the smallest of the Dutch provinces, it has four members, while most other provinces have six or seven. Meetings of the provincial executive are chaired by the Queen's Commissioner (Commissaris van de Koning(in), abbr. to CvdK). The Queen's Commissioner is not elected by the residents of the province, but appointed by the Crown (the Queen and government ministers). The Queen's Commissioner can be dismissed only by the Crown. Queen's Commissioners play an important part in the appointment of municipal mayors. Municipalities (gemeente, pl. gemeenten) form the lowest tier of government in the Netherlands, after the central government and the provinces. There are 415 of them (1 January 2012). The municipal council (gemeenteraad) is the highest authority in the municipality. Its members are elected every four years. It also bears primary responsibility for the financial affairs of the municipality and for its personnel policies. Aldermen are appointed by the council. Councillors can be chosen to act as aldermen. In that case, they lose their seats on the council and their places are taken by other representatives of the same political parties. Non-councillors can also be appointed. Unlike councillors and aldermen, mayors are not elected (not even indirectly), but are appointed by the Crown. Mayors chair both the municipal council and the executive. Industrial activity in the Netherlands predominantly consists of food processing, chemicals, petroleum refining as well as electrical and electronic machinery. It has a dynamic agricultural sector and is well known for its plants and cut flowers. The port of Rotterdam is the busiest in Europe, serving a vast hinterland which stretches into Germany and central Europe. 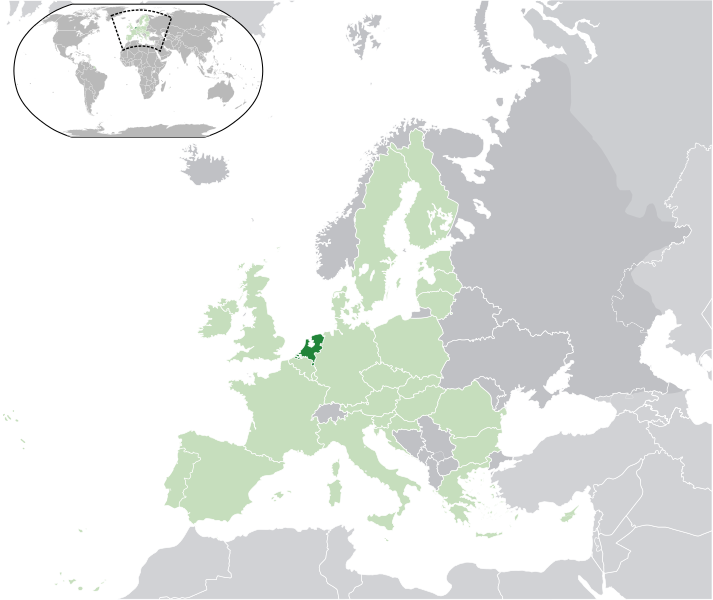 The Netherlands, as the name indicates, is low-lying territory, with one-quarter of the country at or below sea level. Many areas are protected from flooding by dykes and sea walls. Much land has been reclaimed from the sea, the Flevoland polder being the most recent example. The Netherlands has a history of great painters. The 17th century was the age of the Dutch Masters, such as Rembrandt van Rijn, Johannes Vermeer and Jan Steen. The 19th and 20th centuries were no less remarkable for their high-calibre artists like Vincent van Gogh and Piet Mondriaan. The Dutch Parliament (or Staten Generaal) consists of two chambers. The first, with 75 members, is indirectly elected and has limited powers. The second chamber, or lower house, is directly elected. Members of both houses serve a four-year term. Given the country’s multi-party system, all governments are coalitions. Well-known Dutch specialities include raw herring, smoked eel and pea soup, as well as a wide variety of cheeses such as Edam and Gouda. This weather map is meant to give you an understanding of the difficult conditions under which many abandoned, homeless and neglected animals are forced to live in - many die of heat stroke, dehydration or freezing temperatures in Europe. ESDAW® is not responsible for the content of external sites.